Have I Got A Debt Reduction Plan For You! One tidbit of information about me that most of my friends don't know is that I used to be a gambler. You may not think that's such a big deal, but my reasons were different than most. Many people visit casinos and play the slots and other games for recreation; still others enjoy the thrills and high drama that ensue with games of chance. Neither was the case for me. As young as nineteen years old, when I went to the casino, I was serious and focused because I was going there to make money. I gambled to make money because I was drowning in debt. The legal age for gambling in Canada is nineteen years old, so many young Michiganders cross the Ambassador Bridge looking to have a grown up good time. That's why soon after my nineteenth birthday I began to study the game of Blackjack. The slot machines weren't much fun to me because they seemed to leave everything to chance, with most players losing their money in the end. That wasn't much fun at all. 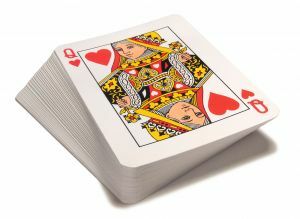 I had heard that Blackjack was the only casino card game in which the house could truly be vulnerable, so, in my free time away from my studies, I learned as much as I could about Blackjack. The more I learned, the more obsessed I became with getting good because it seemed that this form of gambling might really empower me to pay off my debts. By my sophomore year in college I was beginning to rack up lots in student loans, and I had a couple of credit cards that were close to being maxed out because I was not as fiscally responsible as I am today. Throw a new car with a note in the mix and you end up with one very frustrated young lady. I was mostly paying my own way through school, so I quickly learned about the stress that comes from high debts with low income. I needed a quick way out. So, I turned to gambling. Not being a real risk taker, I vowed to only gamble moderately, and to only play a game like Blackjack that could yield a reasonable return for my educated effort. In the beginning, my plan worked. My visits to the casino brought me some much needed prosperity. However, as time went on and my debts began to accumulate, my gambling trips became more frustrating and I became more desperate. I found myself addicted to playing Blackjack and addicted to winning. I would even play the slots that I disliked so much, just hoping for a break. I would take bill money to the casino to flip it so that I could pay more bills, and end up losing the little bit that I had. My youthful ingenuity had turned into a full blown gambling addiction, and it was doing more harm than good. I thank God that at the height of my demise, my mom was in the picture with a watchful eye. She saw what I was doing, and she began to counsel me. She even helped me get my head back above water. Because I hated losing so much, her lifeline of encouragement and comfort was easy to grab a hold to. I was falling into deep depression, so her understandng and care nursed my poor spirits back to health. I really needed someone older to tell me it would be alright and offer me a helping hand. There are millions of struggling gamblers who are not so fortunate, however. Many gambling addicts do not have a shoulder to cry on, and many of them are so hooked on the thrill they get from high stakes that they aren't able to pull away the way that I did. I'm glad that I was able to get out of gambling before it truly became a lifestyle. I feel the same way about debt. Maybe if gambling and debt were part of my lifestyle today, I might still be trying to juggle them both. I suspect that many gambling addicts are performing such juggling acts right now.